You are currently browsing the Athletic Tape Info Center blog archives for January, 2010. 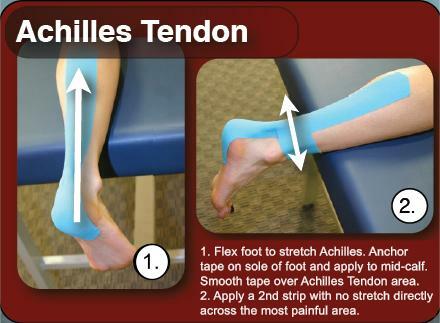 At our kinesiology taping booth at the 2010 Houston Marathon, we taped injured runners from the minute the booth opened until it closed. Although IT band tapings definitely took top honors, runner’s knee came in a close second. 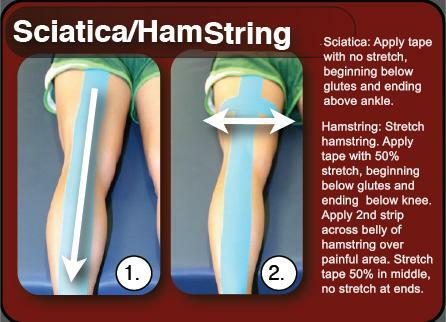 Luckily, you don’t have to be a rocket scientist to apply a basic runner’s knee kinesiology taping. We had a kinesiology taping booth at the Houston Marathon Sports Medicine Expo last weekend, and approximately 80% of the tapings we did on the marathon runners were for the IT Band (iliotibial band). The IT Band is a sheath of fascia beginning at the hip and extending all the way down the outer thigh, ending just below the knee. 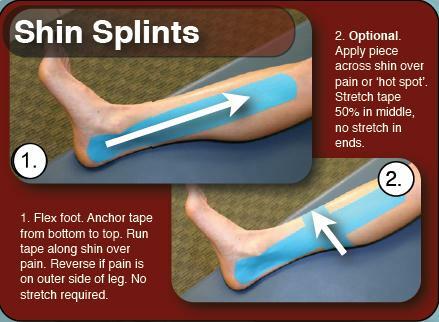 It plays an important role in stabilizing the knee during running and walking. 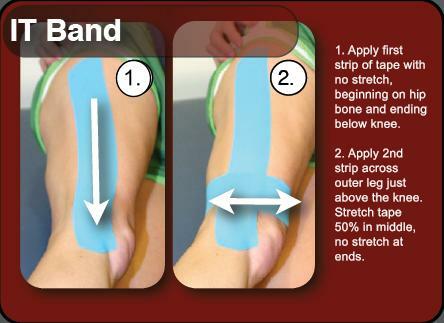 Tightness or overuse of the IT Band can cause it to become inflammed, causing considerable pain, usually at the attachment just below the knee. Once this inflammation develops, commonly referred to as IT Band Syndrome, it is very difficult to get rid of. 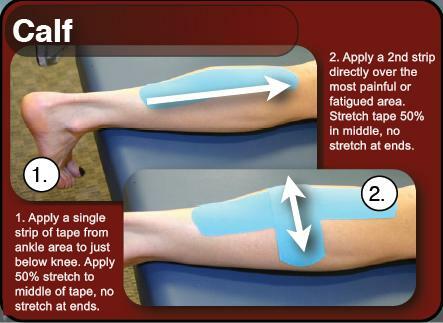 Kinesiology taping is one form of treatment that can bring immediate relief of pain and inflammation, as well as accelerate the healing process in those suffering from iliotibial band syndrome. 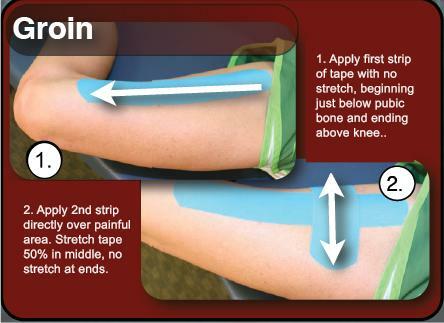 The taping protocol is very simple, and can easily be mastered by anyone, even if they have no training in how to apply kinesiology tape. 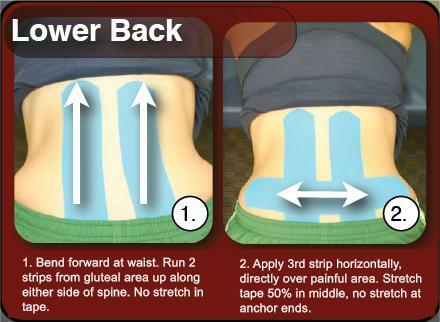 The following taping technique was developed by the makers of RockTape, a new kinesiology tape engineered especially for performance athletes. It’s stronger adhesive coupled with a greater “snap back” mechanism make it ideal for endurance athletes such as marathoners and triathletes.